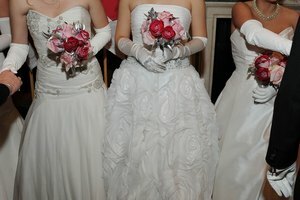 What Is the Origin of Debutante? Debutante customs take many forms, such as the quinceanera. 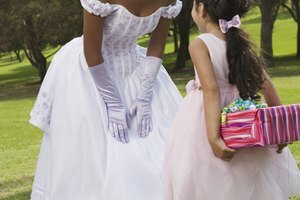 The word “debutante” describes a young woman who has reached the age at which she can be presented to society as an adult. The word itself is French, most literally the feminine meaning “one who makes a first appearance.” Though debutante events traditionally signaled that a girl was at an appropriate age to start considering marriage, at their most basic, debutante traditions are coming-of-age events. According to “Girl Culture: An Encyclopedia,” debutante customs can be found across several cultures and in ancient civilizations, dating as far back as the Mayan tradition of presenting 15-year-old girls to the wider community. 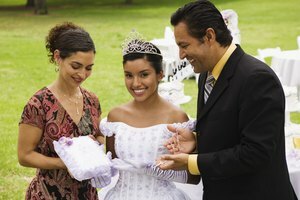 As Spanish colonists arrived in North America in the late 15th century and began to interact with native culture, they brought with them a Catholic tradition that likely inspired what would become the modern quinceañera, a rite of passage for young women throughout Latin America that continues to this day. In Great Britain beginning in the early 1600s, young women of noble birth were formally presented to the king and queen at court. Etiquette publication "Debrett's" states this tradition was strengthened in the late 18th century, with the monarchy of George III and the charity interests of his queen, Charlotte. Their fundraising balls became the high point of the social season, giving young women of high birth an even greater opportunity to "come out" as ready to marry and socialize. Debutantes have not been presented in the British court since Queen Elizabeth II put a stop to the practice in 1958, but the annual Queen Charlotte’s Ball continues as an elite charity event for young women between the ages of 17 and 20 who come from wealthy families. The event caps off a year’s worth of etiquette classes and is viewed as a career and reputation-booster. Debutante events were adopted in the New England colonies. As aristocracy fell out of favor in colonies, young women’s presentations in society continued, albeit more modestly. In colonial America, “coming out” parties took the form of afternoon teas, small dances and more casual dinners. These debuts marked the moment when girls were deemed old enough to begin receiving romantic attention from young men, and when they could begin considering marriage proposals. As etiquette maven Emily Post demonstrated in her 1923 book, "Etiquette in Society, in Business, in Politics and at Home," these rituals formed the cornerstones of how a respectable young woman entered society -- and the fact that some kind of celebration was in order. 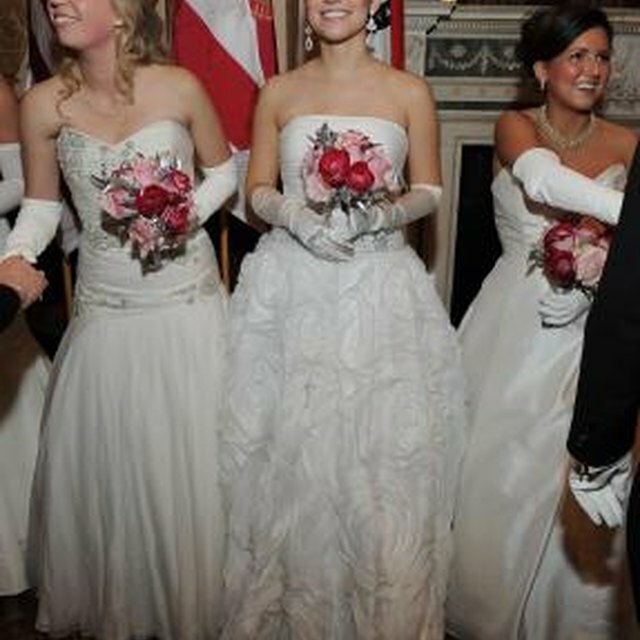 Rather than a common rite of passage, modern debutante balls are held largely to reflect the traditions of a heritage organization, social circle, or even the city a young woman lives in. Some of the largest events include the International Debutante Ball at the Waldorf-Astoria in New York City, The National Debutante Cotillion and Thanksgiving Ball in Washington, D.C.; the Veiled Prophet Ball in St. Louis, Missouri; and le Bal des Débutantes in Paris, France. 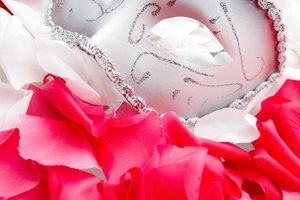 What Medieval Traditions Can Mardi Gras Be Traced Back To? McKellen, Sabine. "What Is the Origin of Debutante?" 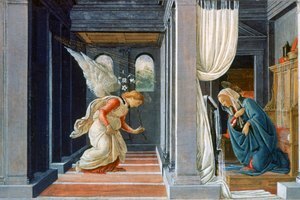 Synonym, https://classroom.synonym.com/origin-debutante-17827.html. Accessed 22 April 2019.